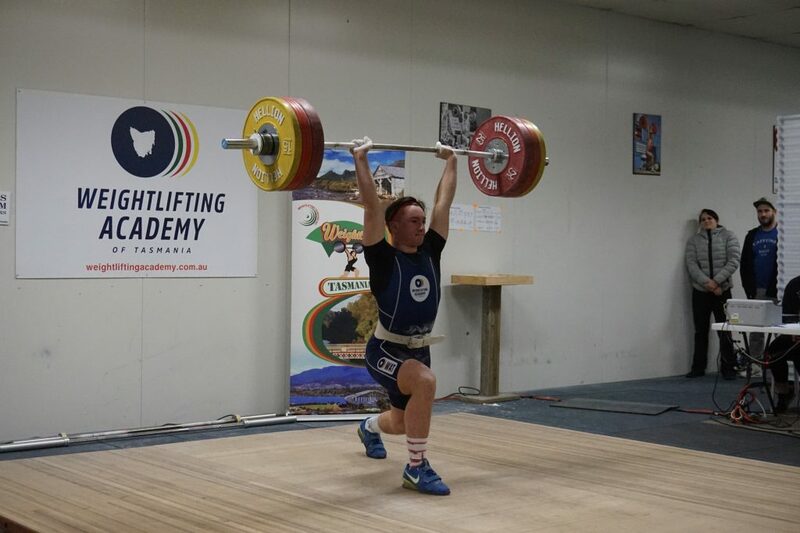 The Weightlifting Academy of Tasmania hosted the 2018 Tasmanian Weightlifting Championships and Round 5 of the Presidents Cup on 21 July. It was an excellent day of lifting with a total of 46 athletes representing 11 clubs from all regions of Tasmania. Competitors ranged in age from 12 to 64 years. Of the 46 athletes, 26 achieved personal bests with best lift of the day by 18 year old Zac Millhouse who succeeded with a Clean and Jerk of 156Kg at a bodyweight of 84.7Kg. The Next competition in Tasmania is the Cliff Joyce Memorial Tournament to be held at Crossfit Levitate on Saturday 6 October. The next competition at the Weightlifting Academy of Tasmania is an another open competition on Saturday 3 November. Prospective participants can enter as members of Weightlifting Tasmania (entry fee $30) or as non-members (entry fee $45). Anyone who has an interest in either of these competitions is advised that the deadline for entry is 2 weeks prior. Contact Leo Isaac by email for further information.